Building relationships and impacting health outcomes are what drive Caitlin Loyd to engage clients and colleagues in projects in her areas of expertise which include maternal and child health, integrated behavioral health, qualitative data analysis, research and project management. Before joining HMA, Caitlin worked with the Colorado Department of Public Health and Environment to facilitate coordination between maternal and child health efforts and the Colorado State Innovation Model (SIM), an effort focused on behavioral health integration. Caitlin is experienced in group facilitation and consensus building. In her most recent role, she managed and facilitated two successful stakeholder groups: the Colorado Early Childhood Screening and Referral Policy Council, a statewide collaborative seeking to ensure access to appropriate developmental screening and interventions for Colorado children; and a pediatric stakeholder group, a team seeking to identify and support the needs of pediatric patients and providers. Her experience also includes working as a research contractor, where she collected and analyzed qualitative and quantitative data, and wrote corresponding research articles. As a program coordinator, her projects focused on clinical quality improvement, including integrated behavioral healthcare. Caitlin also led the development of a learning collaborative toolkit used as a guide for bringing community partners together for shared learning. 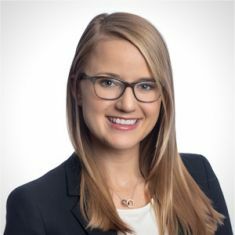 Caitlin has a Master of Public Health from Tulane University School of Public Health and Tropical Medicine and a bachelor’s degree in international studies from Indiana University.